he Art of living is on full display in Keven Hawkins’ Jot ’em Down Market in Cashiers, North Carolina. The shop is still under construction but, Keven gave us a little sneak peak this weekend. I couldn’t resist his store front display of seasonal florals, potted herb and lettuce gardens in authentic aged pots, plant stands and even tuteurs! The lupines that he had grown from seeds were to die for, so of course I purchased three–I like odd numbers when planting in beds. 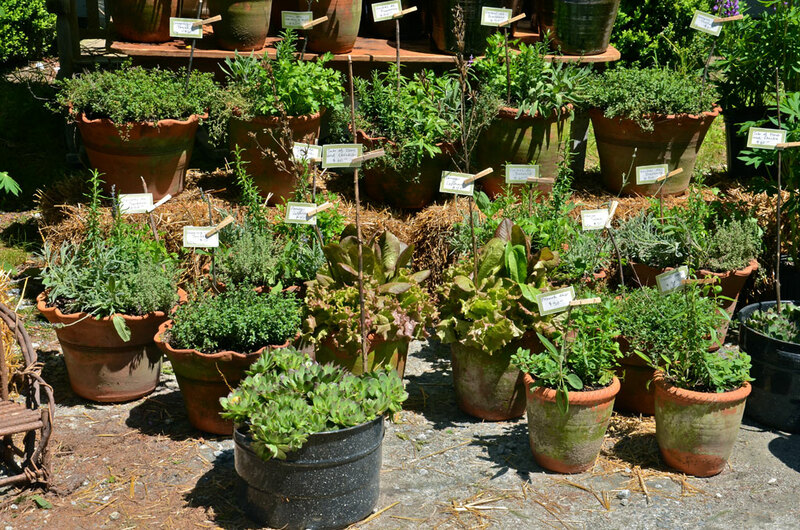 All of the herb and lettuce container gardens were planted in beautiful moss-covered, hand-made terracotta pots with ruffled or braided edges. A large collection of old southern pottery from Georgia and South Carolina was available for purchase that could be re-purposed for umbrella stands or to hold a collection of walking sticks. The Market will also carry books, furniture, and seasonal produce and other necessities to enhance your life. A small kitchen will be installed for cooking demonstrations by regional chefs–I’ve gone to Heaven! 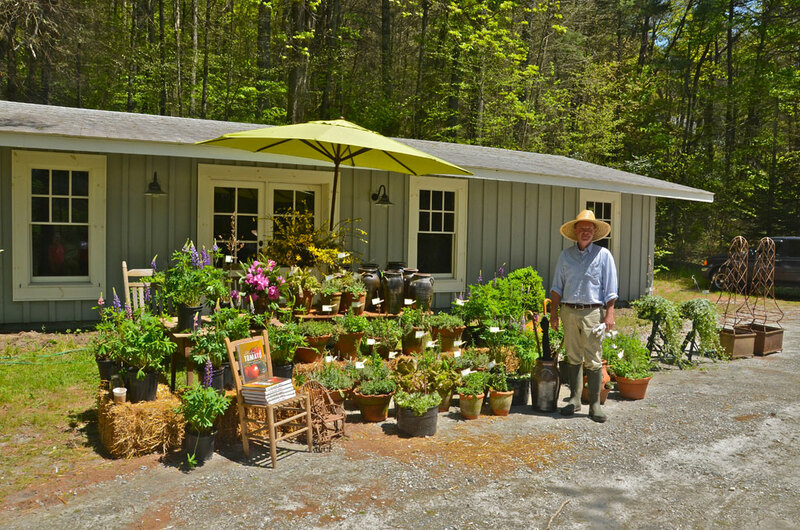 This shop is a Must–Stop if you are in the Cashiers–Highlands area. The car stopping display in front of Keven Hawkins' Jot 'em Down Market located at 341 Hwy. 107 South in Cashiers, North Carolina. The talented Mr. Hawkins with his beautiful creations! 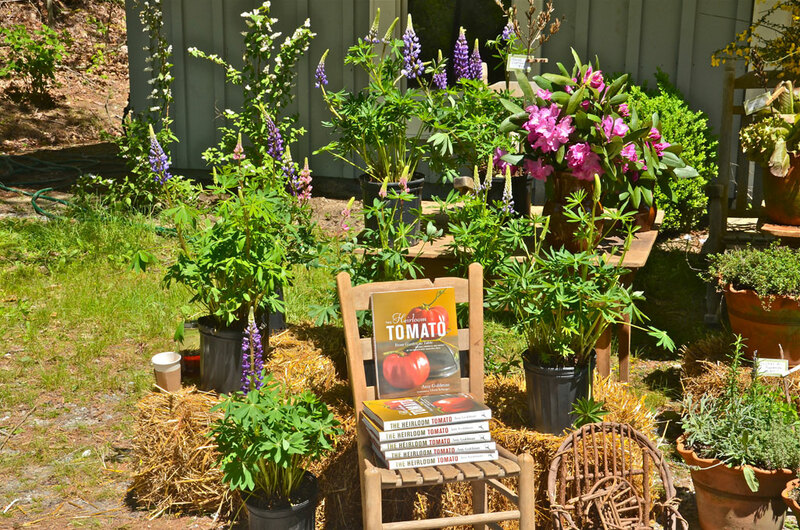 Beautiful lupines and container gardens are available with gardening books like 'The Heirloom Tomato' by Amy Goldman. 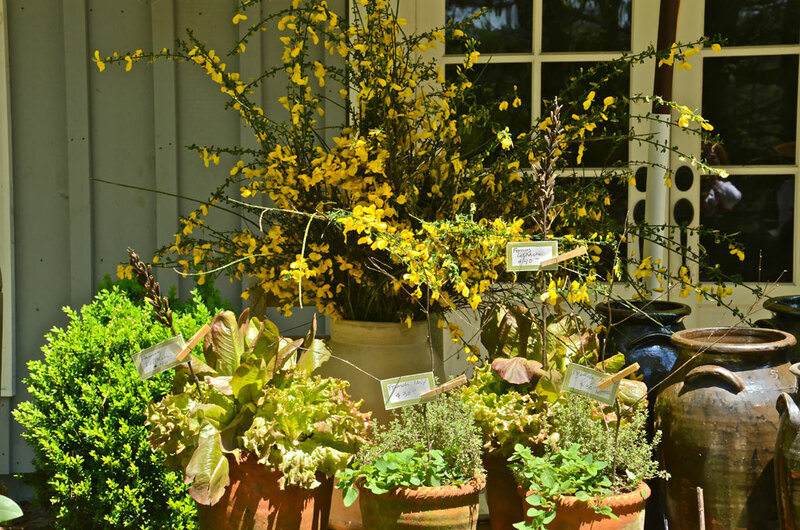 Container gardens in moss-covered planters full to the brim with succulents, lettuce mixes, herb mixes and French mixes–just had to add that one. Love the Hens and Chicks in the old canning pot. 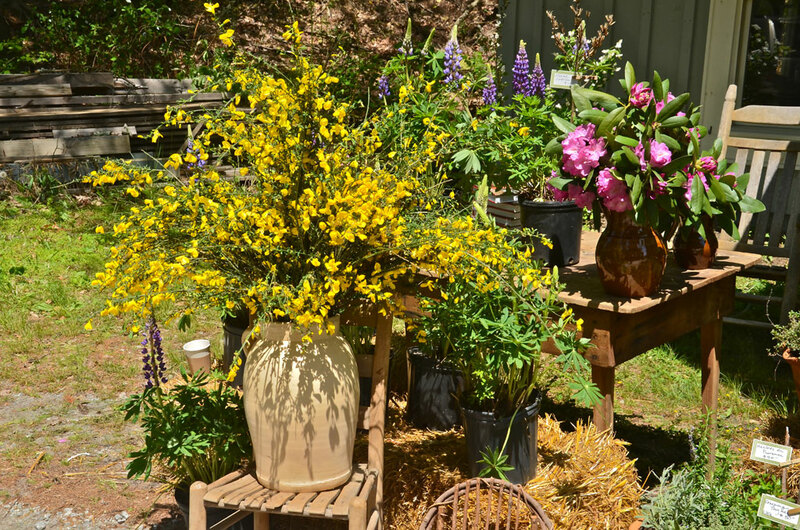 Southern pottery, freshly picked flowers and container gardens–who could ask for anything more! An old Southern pottery urn used to hold umbrellas, walking sticks, garden stakes ... the possibilities are endless. 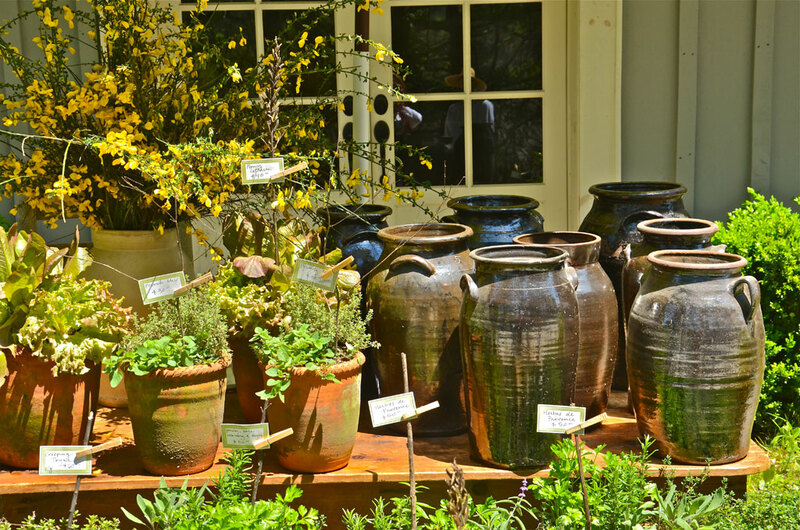 These beautiful containers could be used on a patio, porch, in an Entry or even in a Kitchen window–yes, please! Freshly cut branches look beautiful in this antique white Southern pottery urn. 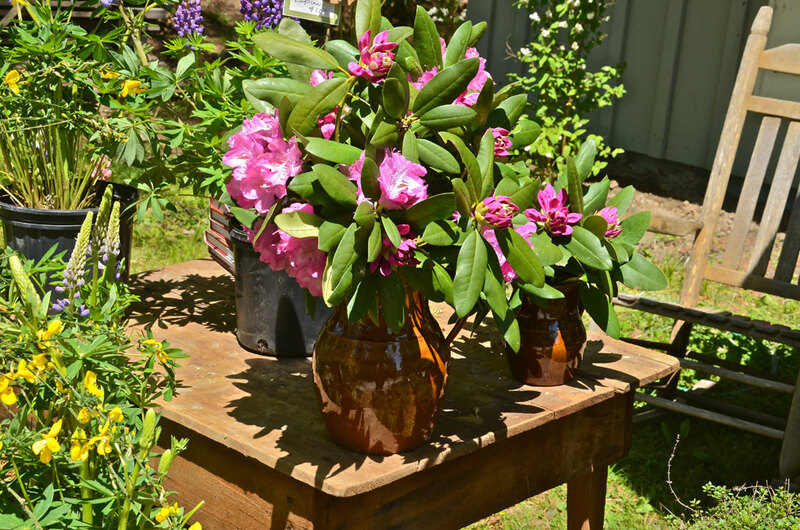 This arrangement of Pink rhododendron in a brown urn came home with me. It's in the kitchen of the new house. 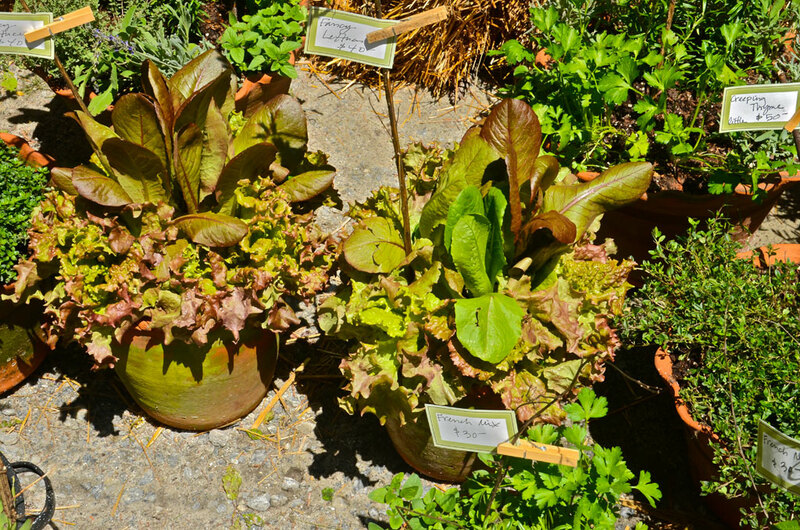 Containers overflowing with lettuces and French mixes ready to make your next salad a delight for all. 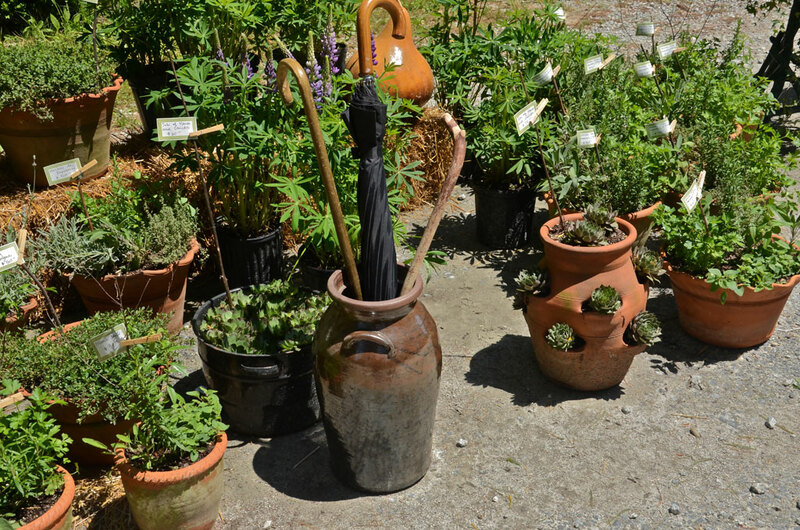 I left this charming store with two green twig planters, a ruffled-edged pot containing a French Mix herb garden, three Lupines–large and robust, the Pink rhododendron in the brown urn, ‘The Heirloom Tomato’ book and … you know how it goes. 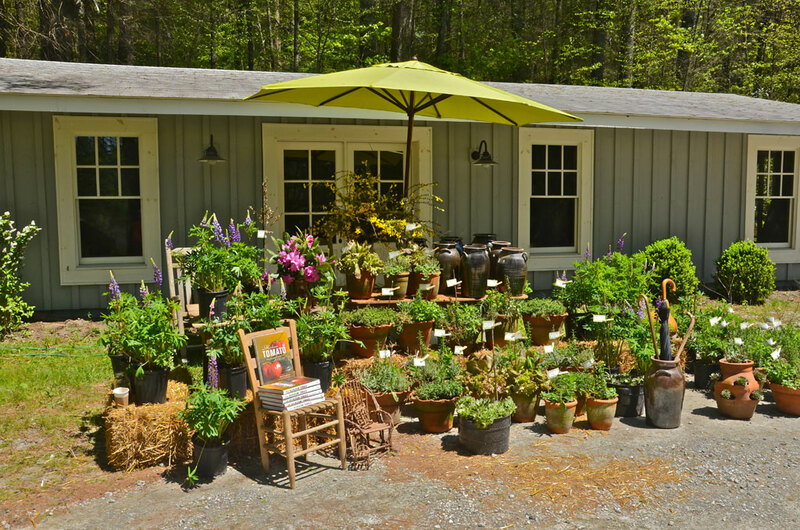 This charming new shop should be at the top of your list on your next visit to the Cashiers–Highlands area–you will love it! Thanks Francie, you will love it. This is just one more reason to leave Atlanta ASAP! Lissy, so happy you visited Keven’s shop Saturday! Certainly a breath of spring! I stopped by early & purchased six gorgeous lupines that absolutely stole my heart. Bill planted all for me yesterday a.m.. I met George & Eddie & took them to see the display & they purchased several lupines also. What a great way to start a day! Love the pictures & needless to say we are very lucky to have Keven back in Cashiers, what an asset!!!!!!!! So true–I think the shop will be a destination for all. Can’t wait to visit Jot em down! Looks like a nice shop. Are you going to Cashiers this weekend? We might be going. Would love to see you and get together. We will be moving to Cashiers on Saturday! Come by the house if you would like. Great! I know you must be so excited! Looks like just the kind of place that would make me pull over! It changes everyday–always something new to see!